While a lot of people dream of buying a plot and having their house build, this process may seem very difficult to some. Being in a strange country, with a language you perhaps do not speak and other customs it may look like an overwhelming task. And yet, it is a process whereby you are given full freedom and control to decide from the beginning what you want. After having a first meeting where we find out more about your needs and requirements we can show you different designs and plots that will satisfy your needs and your budget. If you already have a plot then it is only a matter on deciding on a clear image of how you want your dream home to be. When the decision on the design and the location is made, we can start by drawing up an agreement in Greek, which can and will be legally translated in any language you prefer and this shall be signed with your lawyer present and / or your notary who will look into the legality of ownership. By this stage an advance payment has to be made upon signing. Now we can begin preparing for the building permit. The agreement will stipulate all the works that need to be done and the time frame of it. 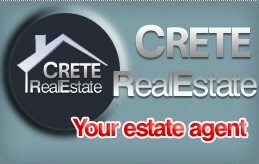 It will also state at which construction stages you need to make your following payments. During the building you will be kept up to date by reports. These reports will contain a written overview of what has happened to your building and supported by pictures and if necessary a small video. These reports are necessary to confirm that the works are being carried out as agreed. As you can see, you do not need to be present to be able to follow the progress of your building, we will keep you fully informed through e-mail. And off course you are always welcome to visit the construction site and follow it up and judge for yourself. After completion of the property, when you are fully satisfied with everything, and only then, you will make the final payment and the keys are turned over to you and you will become the proud owner of your dreamhouse. In other words, small and big jobs, we can make you a quote for any kind of job required at your home, with the guarantee that we will supervise the progress of the work that has to be done. Not everyone has the same needs or the same freedom in budget, so we do need to have a personal meeting to get all the right information for every individual project to be able to assist you properly. Internet is a big media help to get a lot of information, but it will never take over the personal touch people can give to a project.